Despite only entering the health insurance industry as recently as 2008, DKV Globality or Deutsche Krankenversicherung as it can also be referred to, has quickly become a leading provider of international expatriate medical insurance solutions. Based in Luxembourg, DKV Globality is part of the Munich Health and Munich Re Groups and provides customized healthcare and insurance options to a large number of expatriate and traveler clients around the world. DKV’s reach is truly global and it has in excess of 26 international offices and service partners providing strategic support to its customers. DKV’s customer support representatives deliver a 24 hour emergency telephone service and with options to speak to a member of staff either in English, Dutch, French or Spanish, DKV ensures its policyholders have access to a high level of attention and support. Young professionals, expatriates and travelers in Thailand can find comprehensive and flexible coverage with one of DKV Globality’s health insurance plans. I first purchased a traveler DKV Globality plan two years ago as I planned to take a year out to travel around Asia and specifically Thailand. Towards the end of my travels I found a job in Bangkok and I was subsequently able to change my policy accordingly and with ease. DKV’s helpful staff advised me on the individual expatriate plans that would also provide me with coverage when I travel around the region either for work or on vacation and given the support I have received so far, I trust our relationship will continue for many years to come. 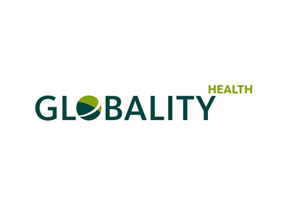 DKV Globality offers a large number of comprehensive global health insurance plans and should you wish to learn more, please complete the details section at the top of this page. Our support staff at Thailand health insurance can also provide you with information on DKV and please click here to contact them directly.